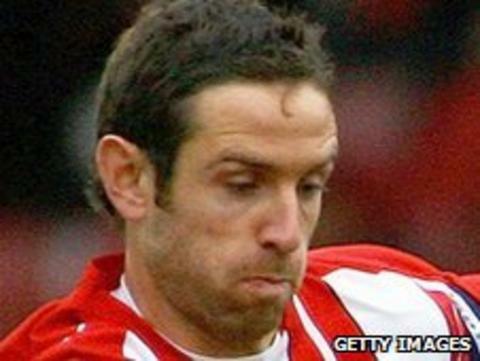 Ex-Wycombe and Brentford defender Alan Bennett has joined Cheltenham Town on a one-year deal, with the option of a second year. The former Republic of Ireland international, 29, was released by the Chairboys at the end of last season. He told BBC Gloucestershire: "After speaking to the boss on Friday, it felt like the right thing for me to do. "I had a good offer from a club in Ireland but I felt like I wanted to stay here." He added: "I've been lucky enough to be part of two promotions from League Two, with Wycombe and Brentford, so hopefully I can do that again." Bennett started his career in his hometown of Cork before joining Reading in January 2007. He was then loaned out to Southampton and Brentford and went on to join the Bees on a permanent deal. Bennett arrived at Wycombe on loan in January 2010 and signed a year-long deal last summer. Meanwhile, Cheltenham have taken Luke Bottomer, Bagasan Graham, Harry Hooman, Ben Evans and Keir McSorly on trial.